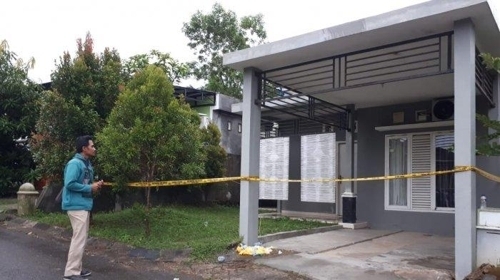 A South Korean man working in Indonesia was found dead at his home earlier this week, apparently murdered, Seoul's foreign ministry said Wednesday. The man in his 50s had participated in the construction of a plant in the southern region of Kalimantan. When discovered on Monday, his body was dotted with wounds. Given the condition of the site, local police believe he may have been murdered, according to the ministry.